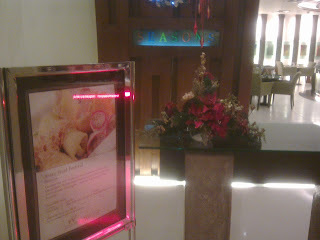 It was definitely one of the worst hotel buffets I have ever tasted as Manila Pavillon's Seasons was utterly disappointing. I saw in reviews I read most people who tried it actually used a voucher to get the buffet at half the price. However, I don't think they got a good deal as the buffet was that bad. 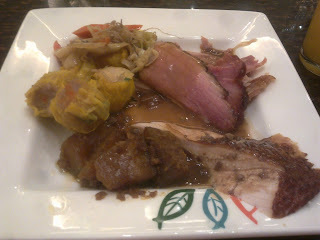 I found myself circling around the buffets to see if I can put something on my plate. Sadly, I could not find much food I like which means the buffet contains bad choices despite being priced at 1500 net per person. 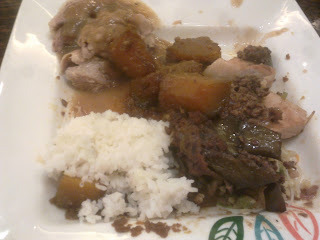 On my first plate, I had turkey, roast beef and siomai. The girls who were supposed to cut the turkey had a hard time doing it so I assumed they were new. The meat did not taste like new but I kind of expected that since they were probably not expecting a lot of people to eat today. I put pancit, lumpia gulay and squid tempura on this plate. I still can't believe they did not have shrimp tempura despite the high price. There was nothing good to talk about any of the food that I ate because they all tasted bland. I was beginning to suspect they had mostly leftover food but this was a 3 or 4 star hotel. 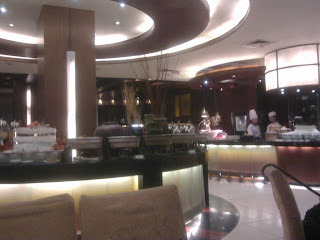 The only bright spots in the buffet were the pumpkin and the mango crepe. 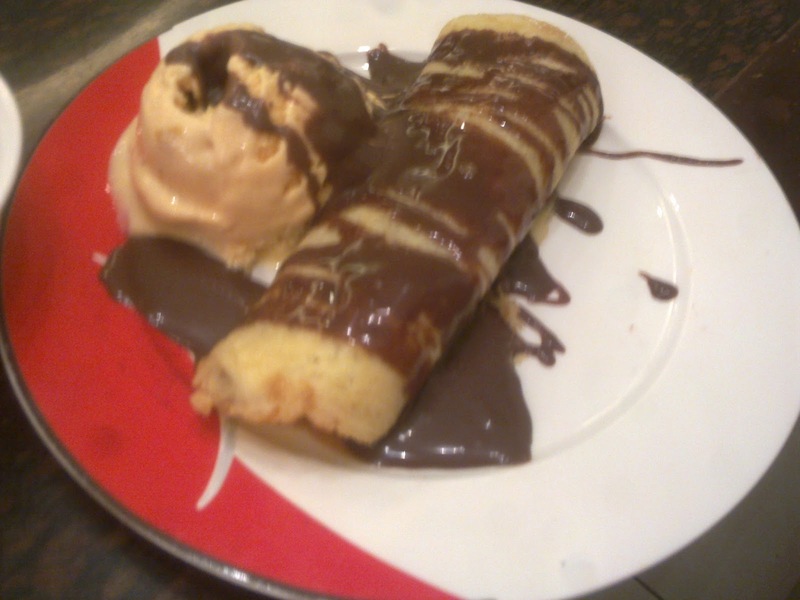 I actually liked the mango crepe and it was not disappointing like the rest of the buffet choices. I actually felt sorry for the people who came to this buffet and paid the full price like I did. The day I will come back to this restaurant is the day I forget this experience I had with them which won't be a while. I'm sad that yours turn out not as expected. I hope the next one you go to with leave you with a better impression. If I were in that situation, I would find a place for me to eat. Good thing you shared your bad experience to all so people won't get tempted to buy the 50% price off that this restaurant is offering the next time they publish a promo on line. 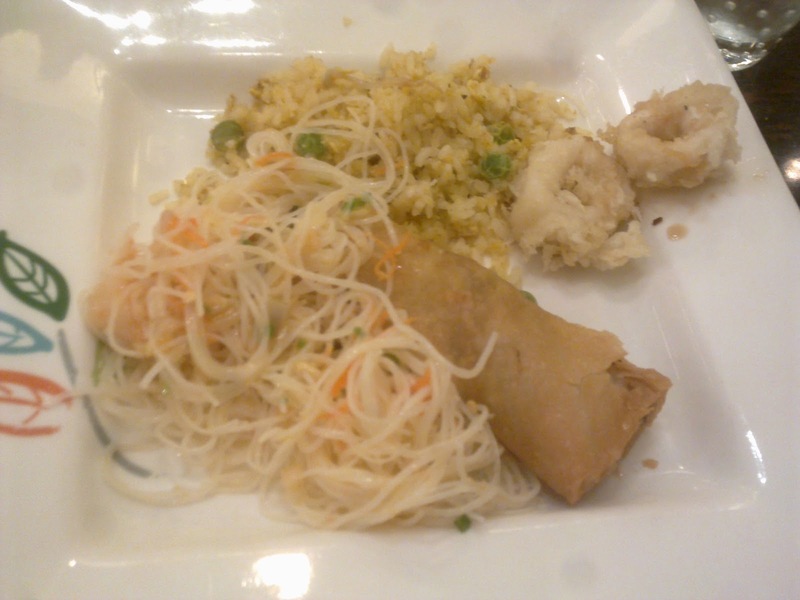 I have yet to encounter a horrible experience at a buffet in a hotel. Have you notified the manager about your experience? Php1,500 per head? And although you got it for half the price, I think 750 for a buffet is still really expensive. Not to mention the negative experience you had while there. Good thing that the dessert was good.